Improving the efficiency of the electricity system through the flattening of the demand curve and the integration of renewables are two essential applications for energy storage. Thus, promoting increased energy storage capacity as a tool to serve system operation, mainly pumped storage, without forgetting other future technologies, will allow for greater integration of renewables, preventing unwanted dumping of clean energy during valley hours and at the same time will provide more security to the electricity system. Large-scale energy storage (GW): reversible hydro (pumped storage), thermal storage. Storage in grids (MW): batteries; capacitors and superconducting coils; flywheels. At an end user level (kW): batteries, superconducting coils, flywheels. The new energy storage technologies will become key elements of the electricity systems of the future, in a way that electricity storage can add value at every link in the electricity supply chain. Red Eléctrica, aware of this, is committed to the incorporation of these energy storage systems, with the ultimate goal of maximising the integration of renewables and providing greater security of supply and achieving more efficiency for the electricity system as a whole. As part of its commitment to developing new energy storage technologies that optimise system efficiency, Red Eléctrica has launched the Almacena project, consisting of an electrochemical energy storage solution connected to the transmission grid, as well as the installation of a prototype inertia flywheel in the Canary Islands. 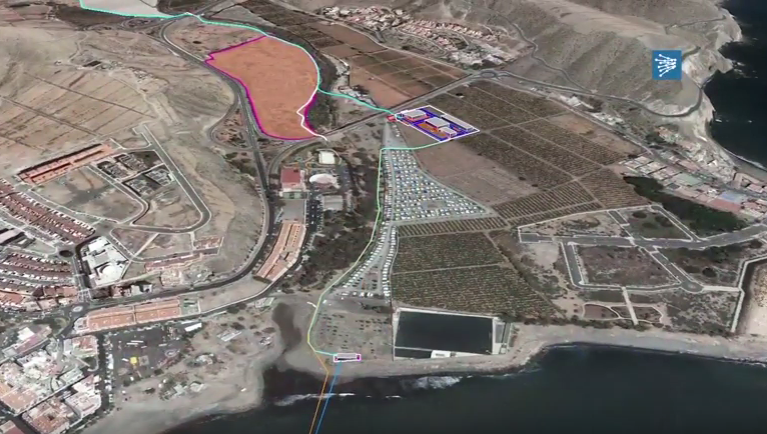 Additionally, it has begun the administrative permitting process for the construction of a pumped-storage hydropower plant on the island of Gran Canaria between the Soria and Chira water reservoirs.